Motorola is rolling Android Lollipop update all over the world to Moto Users and Its India's turn to get a taste of Android 5.0 Lollipop . Also Motorola becomes the first device manufacturer to Provide Android 5.0 Lollipop to Their approx all devices . Even Google Nexus users are waiting for Their Android lollipop update and Moto Users are enjoying them . 2. 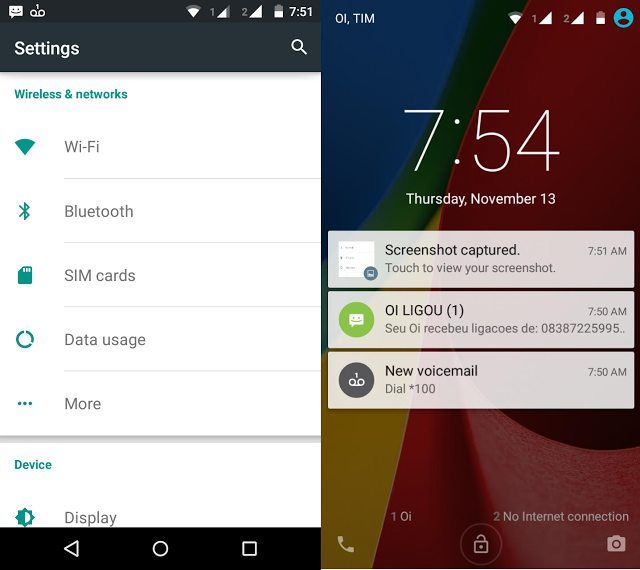 Pure Google Android Lollipop experience ( No touch in interface from motorola ) . 3. Some Motorola Apps will be there . 5. Long battery life and many more . Important: Do not flash fsg.mbn or you will have NO SIGNAL after install and need to flash XT1068 fsg.mbn after install to get signal back. Step 3. Download and install Lollipop_Update.zip via recovery. Does it require root or unlocked bootloader to flash this? Why is this for XT1068 but the firmware is for XT1064? Isn't it a bit risky? Also what is the source for that and who built it?